If your business is moving premises, Kilmarnock Removals International ensure that everything goes smoothly with minimum disruption to your business. Our professional service will take care of every aspect of your move from providing heavy duty packing crates to moving items of office furniture. We have purpose-built vehicles and facilities designed to take care of every aspect of your move. From removals to storage, packing and shredding services, we can do as much or as little as you need. 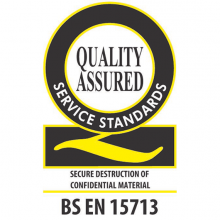 Kilmarnock Removals provides secure document storage and shredding services to ensure that your documents are either safely stowed away or destroyed. Great job. The boys worked hard and efficiently all day. No task was a problem and everything was carried out to a high standard. Thanks! If your business is moving premises, our commercial removals service ensures that everything goes smoothly with minimum disruption. There’s no need to worry about a fall in productivity, lost clients or any other potential side-effects of a commercial removal. Our professional service will take care of every aspect of your move from providing heavy duty packing crates to moving items of office furniture. 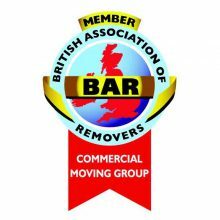 Kilmarnock Removals International are proud members of the BAR Commercial Moving Group. 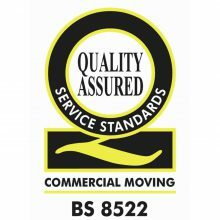 We have seamlessly completed hundreds of commercial moves, which means we have the knowledge, experience and expertise to guide you through every step.